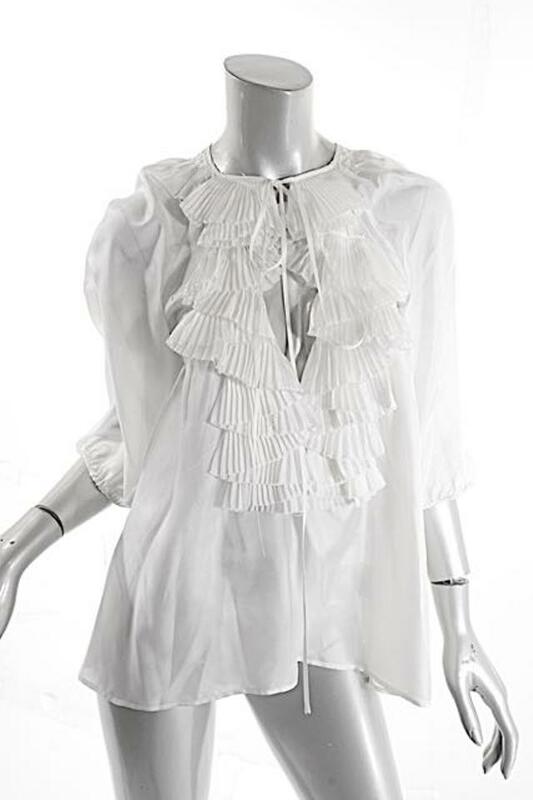 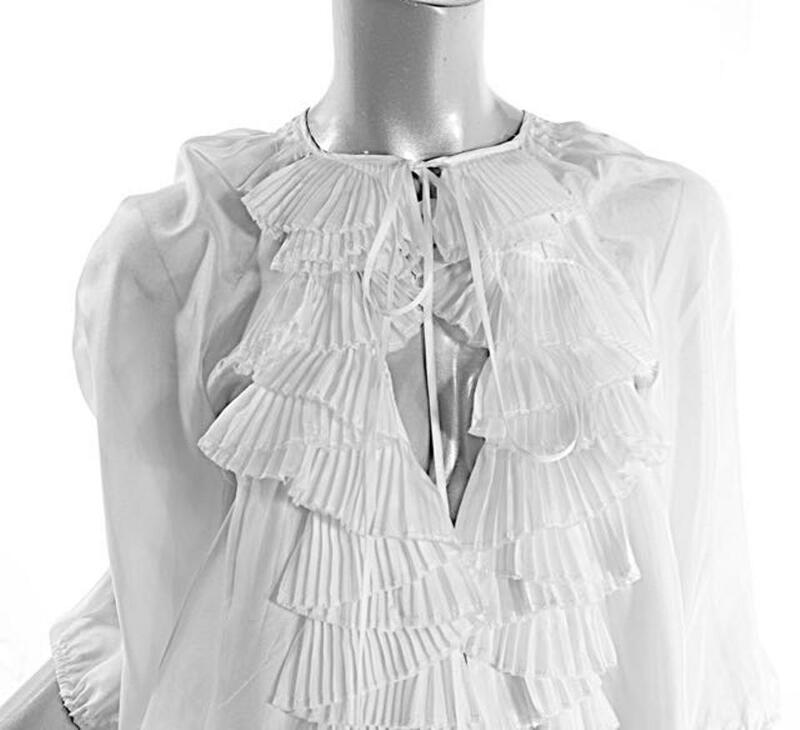 Lovely Pleated ruffle front White satin blouse w/ a keyhole neckline. 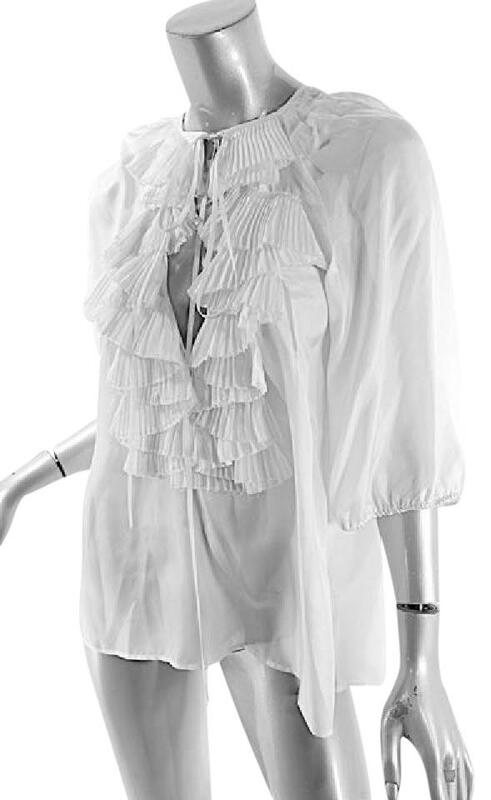 3/4 blousy sleeves, tie at neck w/ keyhole deep v neckline, flowy hem. 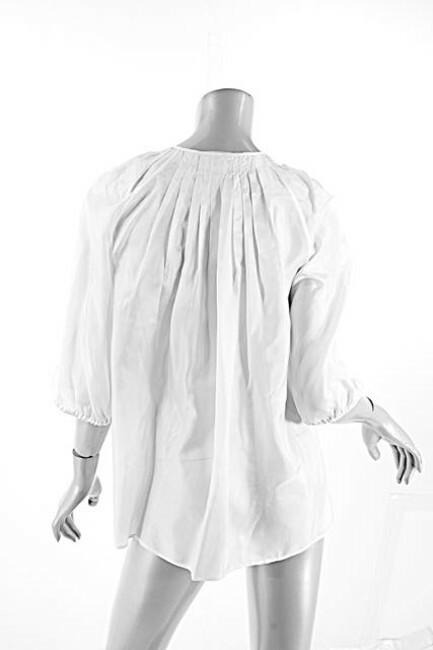 Shoulder to shoulder - 16.5"